34-year-old Marvin Boss, Collins Enebeli AKA Don Jazzy who was recently enlisted as one of Africa’s Richest Musician by Forbes, was spotted alongside, Hero Daniels at popular blogger, Linda Ikeji's place. 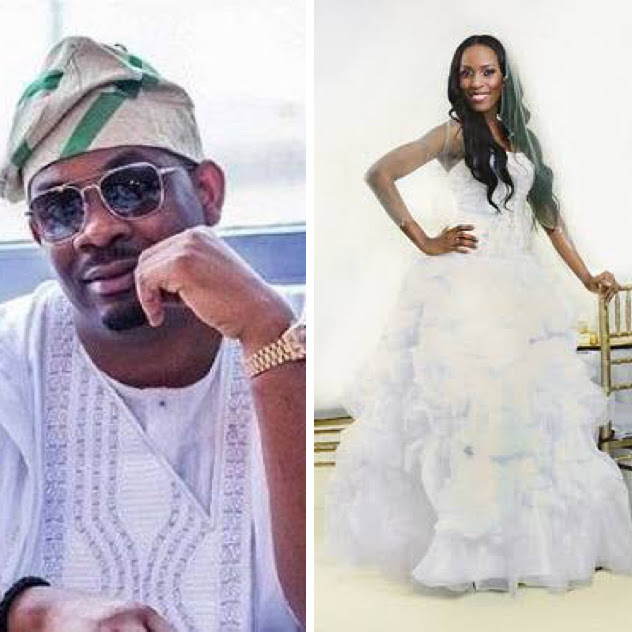 Recall a few days back, Don Jazzy, “stylishly proposed” to Linda Ikeji after news of Banky W and Adesua’s Engagement went viral on Social Media. “We here!! 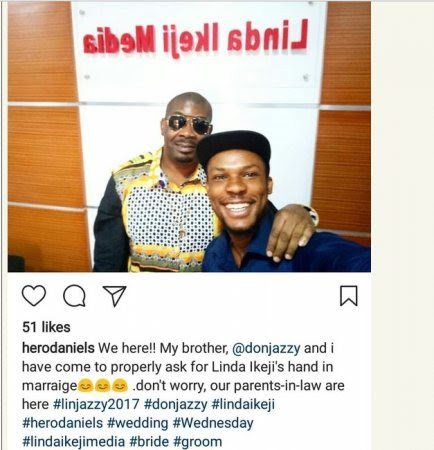 My brother, @donjazzy and i have come to properly ask for Linda Ikeji’s hand in marriage don’t worry, our parents-in-law are here #linjazzy2017”.